The Confederate States of America (C.S.A.) Corps of Engineers, a group often overlooked when analyzing the United States Civil War, played a crucial role in the research, development, and maintenance of the Confederate states, including North Carolina. Unlike the generals of the war, these engineers brought a different type of strategic mindset to aid the Confederate army. The United States Corps of Engineers history dates back to 1775. However, it was not until 1802 that the Corps was reestablished with training provided by a new military academy at West Point, New York. West Point quickly became a prestigious institute for the United States, training those who attended with the most exceptional military and engineering education. Notable graduates include Robert E. Lee, Ulysses S. Grant, Jefferson Davis, William Tecumseh Sherman, and others who would later play major roles in the Civil War. When the South seceded from the United States in 1861, many U.S. Military Academy at West Point graduates were forced to choose sides. The Confederates went on to establish their own (C.S.A) Corps of Engineers and eventually outnumbered the Union in terms of engineers. In North Carolina, engineers had to develop and improve many key operations during the war. The vast railroad lines used for transportation of troops and supplies and forts located along the coast all greatly impacted the Confederacy as a whole, so the demand for engineers was quite high for the state. For example, the Wilmington and Weldon railroad, which ran from Wilmington, North Carolina to Richmond, Virginia, played a crucial role in transporting food, clothing, ammunition, and troops. Wilmington’s port would receive goods from ships and send them to key areas in the South wherever the current demand was. It was the responsibility of engineers to keep up with the maintenance of the operation. Confederate engineers were some of the first to practice effective railroad mobilization. Movement of troops from multiple states to battle was made possible by use of the railroad lines. In North Carolina, Fort Fisher played a key role in transferring guns and supplies to the Confederate troops, and towards the end of the war, it was the South’s last major port. Due to this reason, engineers worked diligently on the fortifications. The earthwork of the fort was designed based on Russian redoubts from a decade earlier. Its walls of sand reached nine feet in height, 25 feet in width, and stretched over 2500 yards, which enabled Union artillery fire from naval vessels to be absorbed without dealing damage to the fort. In terms of the fort’s artillery, 50 cannons were positioned for its defense. The Mound Battery, a cone-shaped mound, 60 feet tall, was the fort’s key artillery position located at the sea face. A detached four-gun work situated a mile west of the Mound Battery offered another vantage point for the artillery. The fort also had mounds reaching about 50 feet high located in intervals of 60 feet, which each created a garrison of its own and offered an ideal place for a gun or two. In addition, land mines, sharpened logs, and other various engineering designs also aided in the fortification of Fort Fisher. This defensive wonder would hold off Union attackers until 15 January 1865. Looking beyond the engineering works that were accomplished by the C.S.A. Corps of Engineers, two engineers from the Civil War stand out in the history of North Carolina. Jeremy Francis Gilmer was born in Guilford County, North Carolina in 1818 and graduated from West Point in 1839 prior to the Civil War. He was an engineer as well as a Confederate Major General during the war. One of his most notable engineering accomplishments was the defense of Yorktown, Virginia. Later in the war, Gilmer was promoted to Major General of Engineers. During his leadership, he organized a project to better the defenses of Southern harbors from Union torpedoes. The second man is William Robertson Boggs, who was born in 1829 in Augusta, Georgia. Boggs graduated from West Point in 1853. Prior to the war, he became Captain of the Corps of Engineers in Charleston, but once the Civil War began became Captain of the Odnance for the Confederacy. As a member of the Confederacy, Boggs designed guns, secured fortifications, and helped with the defense of Pensacola, Florida. He continued to take on engineering jobs and even became a professor at Virginia Polytechnic Institute until 1881. Boggs moved to Winston-Salem, North Carolina towards the end of his life, where in 1911 he died and was buried in Salem Cemetery. The engineering implemented in North Carolina during the war was of much importance to the Confederate States of America. The group and its innovative progress are often forgotten when looking back on the war, but Confederate engineers helped pave the way for future warfare. The new battlefield tactics they employed, railroad mobilization, improved fortifications, and weapon systems all contributed to a more modern view of warfare. 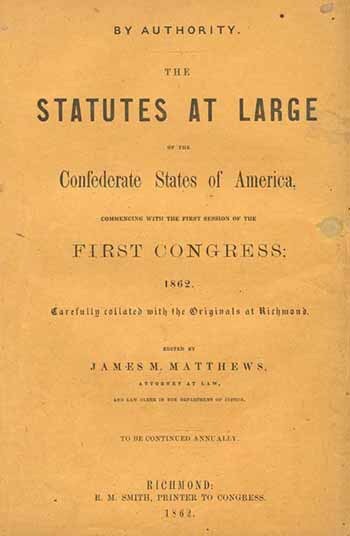 Evans, Clement A., Confederate Military History. Atlanta, G.A. : Confederate Publishing Company, 1899. Martin, Shaun, “Confederate Engineers in the American Civil War,” Engineer 30, no. 4 (October 2000): 42-46. Ramsdell, Charles W., “The Confederate Government and the Railroads,” The American Historical Review 22, no. 4 (July 1917): 794-810. Zentner, Joe; Syrett, Mary, “Confederate Gibraltar. (Fort Fisher at Cape Fear, North Carolina),” Military History 19, no. 6 (February 2003): 26-32.